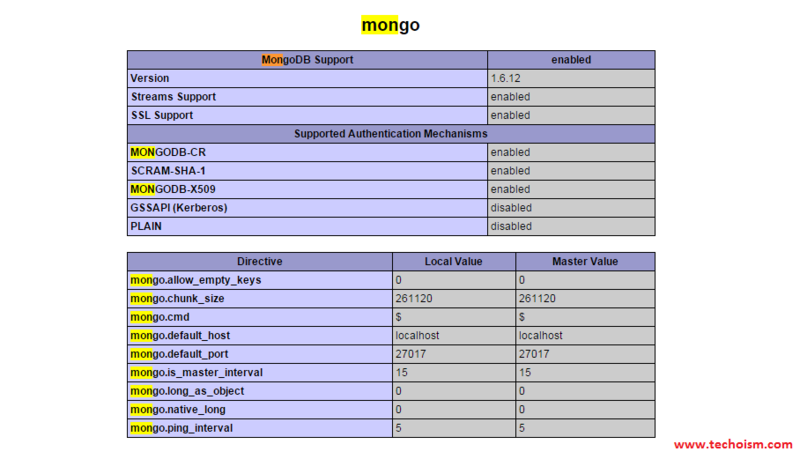 MongoDB PHP driver is very simple install on Linux. You need just PEAR with PECL repository. Normally PHP development package and PHP Pear package installation from package management system is enough to get PEAR working. These instructions are intended specifically for installing the MongoDB PHP Driver (Extension) CentOS. Now add MongoDB extension on php configuration file. Create phpinfo.php file in your system document root.